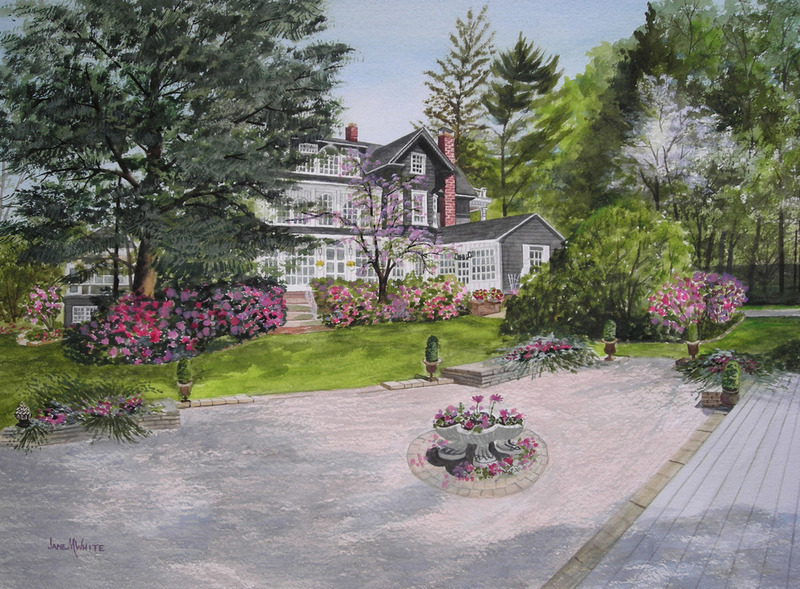 I’ve specialized in painting House Portraits in Watercolor for over 30 years. I don’t just paint the house, but the property and the “spirit” of the home as well. I have met many interesting people, traveled to many places and moved mountain peaks, built a fence for roses and changed the seasons by painting every plant blooming at the same time. Almost anything is possible in my house portraits. I offer 3 sizes of paintings. They are: Small: 15"x18" Medium: 18"x24" Large: 19"x28" These are approximate sizes. Actual sizes vary depending on the composition of your home and property. 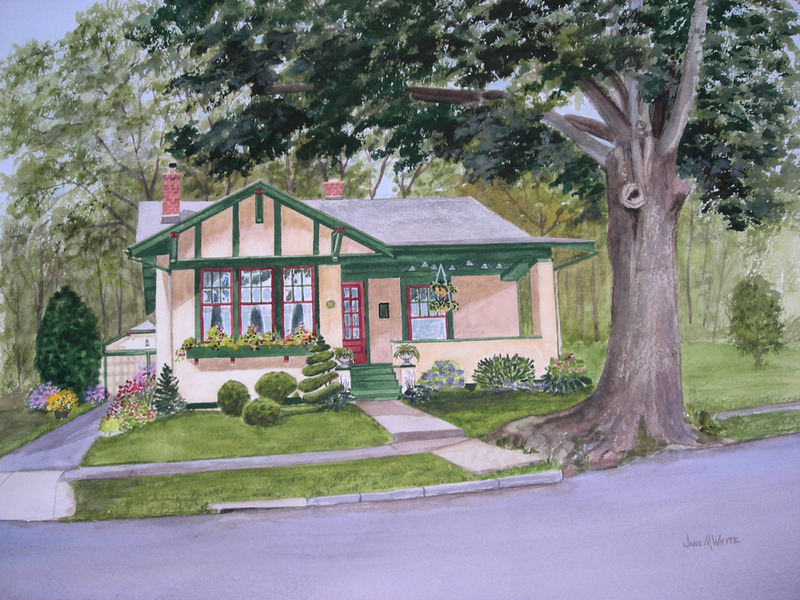 Contact me to discuss the details of your house portrait.